I like scarves. And colour. I knitted this bright purple scarf a few years ago when I was going through a difficult time in my life. It kept me sane, gave me a sense of purpose, and became a beautiful, comforting addition to my wardrobe. Although there are probably too many colours mashed together in this outfit, I don’t really care. 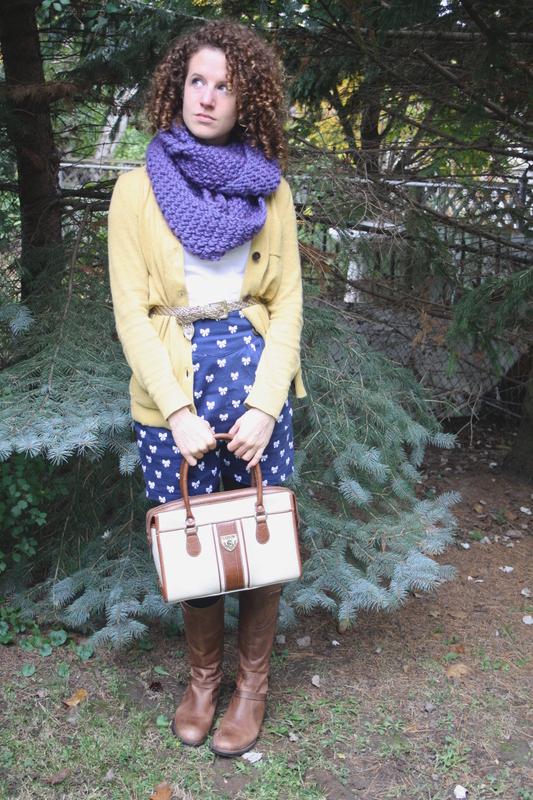 I feel cozy and delighted and ready to take on fall. These are also my new boot purchase from Duo – you can read the review for them here. I definitely wore this out to the market and felt warm and happy the whole time (and, I’m not going to lie – a little bit cocky. Check out what I made!). Pingback: Rob Ford Your Spirit is Calling, Update Available! Create your future. Nice outfit. You look great! Cute! 🙂 Love the scarf. 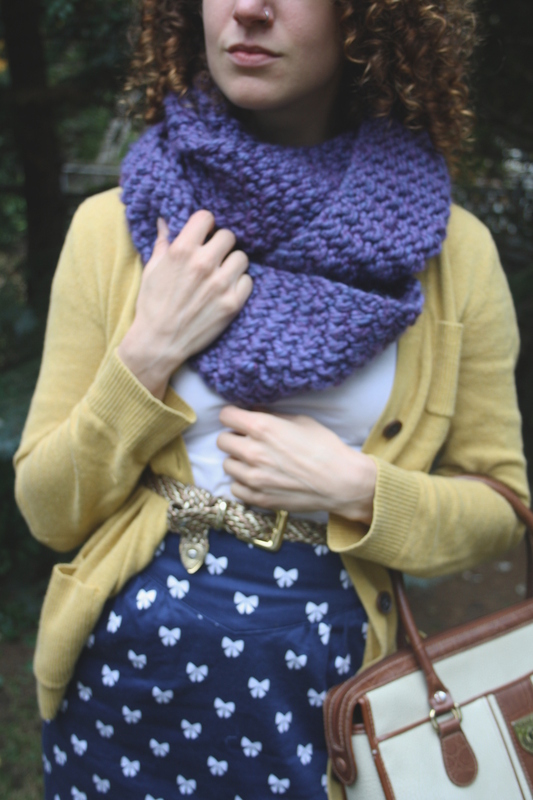 It’s cowl season, for sure. Great outfit! LOOOVE that scarf :-). I adore it! Purple is my favorite color. 🙂 Do you remember what pattern it was–it’s really nice! Honestly, I made it up – but I think I’ll post a pattern in a little bit, because it was so simple. Have you used round needles before?